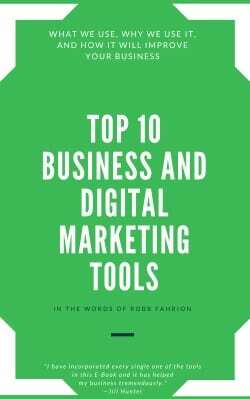 Want to know about the most awesome digital marketing tools for powerful business growth? These tools will help your business grow and generate more money, business, and exposure online. Before reading further and making the most of these tools, let me shed some light on how to capitalize on your marketing efforts. In marketing, there is one strategy that will always put you in a position to succeed, and that is, market your business to your best customers first, your best prospects second, and the rest of the world third. Keeping this fundamental principle in mind will allow you to exploit and benefit from the most popular and highly-ranked digital marketing tools. These tools will help your business succeed in the extremely competitive online world. With that being said, let’s remember that digital marketing means marketing using digital channels and tools to drive the sale of your product or service online. You can easily choose from a range of specialized areas of digital marketing like social media marketing, content marketing, affiliate marketing, email marketing, or search engine optimization, etc. to start generating business online. The digital marketing tools revealed in this article are diverse enough to cater to all of these areas. 1. Google Trends - "The More You Know, the More Power You Have!" Google is always one of the leaders on the cutting edge when it comes to seeing the latest and biggest picture of the world. 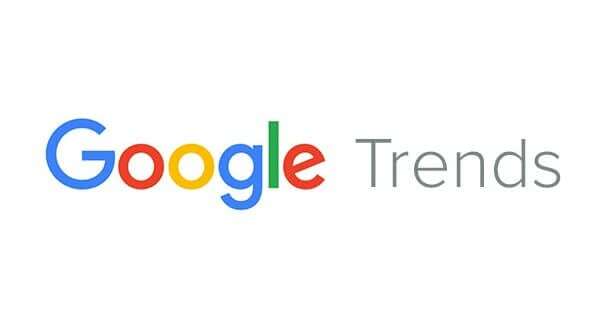 Google Trends by Google lets you monitor the latest data and trend visualizations to know what’s trending in your industry and what opportunities exist that you can capture in the future. Google Trend’s easy-to-use interface gives you tons of comparable data within seconds. Once you type in your keyword or industry name and press enter, a slew of data will be presented to you that will help you position your business for what the future holds. Search by time, countries, and categories, as well as, kinds of searches that include YouTube and other channels. Google Trends is an ideal tool to use if you are launching a startup, developing a new campaign, or are just concerned about certain keywords and their potential effectiveness for your business. HubSpot is an inbound marketing and sales tool that helps your business grow and expand into exactly what you have always dreamed of it being. HubSpot offers a host of marketing, sales, and customer solutions and also works as a Customer Relationship Management system at its core. HubSpot includes tools that will help your company generate leads and popular features like email tracking, meeting scheduling, and email automation to help you or your sales team drive new business for your company. HubSpot offers a free CRM system to start and is something that every person that is serious about building their business should use! Crazy Egg is the app that shows you valuable information about the visitors of your website. The tool shows you the visitor's interaction with each and every one of your web pages. Using this digital tool, you can instantly adjust your precious online resources based on visitors’ needs and requirements, improve navigation, and enhance conversion rates. Crazy Egg provides so much interesting information about your users and allows you to see what is working, what is not, and exactly where your visitors are coming to on your website. It is important to create a consistent website design and Crazy Egg helps you accomplish this. The tool also allows you a great platform to test out your new ideas! 4. SEMRush - "Get Your Business Seen to Sell More!" Make your business “visible” online and be 100% sure that you are able to capture leads. Search engine optimization (SEO) helps your business become visible online and SEMRush, working on this basic principle, offers numerous ways to determine the right keywords for your business to plan and target your content around. Planning content around the the keywords that are most likely to results in traffic and says is a great way to ensure that you are creating an effective SEO strategy. SEMRush also helps you view your domain to analyze which keywords are pulling in the most traffic to your business. Moreover, SEMRush’s sophisticated reporting features let you monitor your competitors in terms of their strategies for paid advertising and organic traffic. With the ability to sign-up for either monthly or annual plans as per your business needs and budget, you can be assured that SEMRush is an amazing tool that you will want to have in your toolbox. 5. Ahrefs - "Know Your Competitors to Capture their Market Share!" One way to make money online via digital marketing is to capture the market share of your competitors. The competitive market is one of the most critical concerns when launching a business. The tools offered by Ahrefs offer an opportunity to analyze your competitors in the most comprehensive and precise way. This tool lets you know the source of your competitors’ traffic, data about their ranking keywords, content features, backlinks, and a ton of other meaningful information to help you build your digital marketing strategy for success. Leverage this data to have an accurate reference point for your digital marketing approach and use Ahrefs to find holes in your competitors’ strategies. 6. BuzzSumo - "Know the Hottest Stuff Happening Around Your Business!" Buzzsumo is the digital marketing tool that analyzes the most popular or most shared content around any specific topic. The tool lets you explore the content in the niche you are interested in and shows you information about the theme, author, domain, etc. BuzzSumo also helps in evaluating your competitors’ social activities. Once you know your niche and target audience, you can develop the perfect content for your niche and audience using this tool. In doing so you can eventually generate higher engagement rates for your content and more frequent users feedback over social networks. What’s on your mind when designing your products or services, content titles, or campaign slogans? Of course, what should be on your mind is attracting customers to buy your product or service. CoSchedule Headline Analyzer is the tool that lets you create more engaging, interesting, and persuasive headlines that instantly grab your readers’ eyes and push them to click for more details. If you use this tool and learn how to perform keyword research then you will start writing better ranking articles in no time. The CoSchedule Headline Analyzer is a great tool to create the most effective headlines for any type of promotion you are doing for your business. The more interesting and relevant your headlines are, the more traffic you can expect. To move that line of thinking further, the more online visitors you get, the more opportunities you will have to turn website visitors into paying customers. While advertising or marketing your business over digital channels, be ready to embrace the high diversity of visitors that you will receive on your site or channel. Even the best content becomes ineffective if your target audience is unable to understand it. It’s all about making life easier for your prospective customers when they are engaging with your content. WebpageFX’s Readibility Tool adapts your content to the defined levels of your readers and help you to write SEO friendly blog posts or content. Enter the URL in the search bar and get tons of data to refine your text and make sure that you are speaking to your target customer. Nobody likes to read something ambiguous and complicated. Using the WebpageFX tool will make your content more understandable to a broad range of people and those that you actually care about reaching. PushCrew is the tool designed for increased engagement and visits from your website traffic. The software helps you send push notifications to your customers even when they are not present on your website. Previous visitors receive a notification on their computer or phone with some sort of information. PushCrew is a nice way to inform old website visitors about what new information you may have to offer for them to view or take interest in. In an increasingly saturated online market, your business may run the risk of loss of constant flow of information. By using PushCrew’s push notification features, you can always remind your customers about the existing and new offerings they might be interested in on your website. With a consistent strategy, this digital marketing tool provides you an opportunity to turn your casual visitors into your brand loyalists and advocates. Who doesn’t know the worth of Facebook and the power of social media? The Facebook advertising tool provides you with the best way to create Facebook ads to reach your customers online. Even the most basic levels of Facebook advertising help you raise your audience’s awareness level about your products and start communication with your prospects about how your business can help them. With the Facebook Advertising tool, you can develop your digital advertising strategy on Facebook, which eventually helps you reach millions of your target customers and create an amazing flow of inbound traffic and business to your company. During the times of extreme social activity online, you have a higher chance to make money online than ever before. It is important to make the most of the daily opportunities provided by social media and make sure that you get people talking about your business online. Based on this notion, eClincher automates your social media marketing strategy by publishing your content over all of your channels. The scheduling happens automatically, resulting in higher levels of performance and reception from your audience. In addition to the above, eClincher responds to all reactions or feedback on your posts over social media. Implementing and controlling various marketing campaigns at a time is an unrealistic and overwhelming task for most businesses. Using eClincher, you can initiate simultaneous promotions on social media and easily interact with your audience. The higher you are ranked online, the more likely you are to make money online. It’s just the facts and the numbers game that we play online. More traffic leads to more potential sales. With the SERPs Rank Checker, just enter your site or any keyword using this tool, and you will instantly see the ranking of your website resource or page for a specific period of time. The SERPs Rank Checker tool assesses your website’s keyword rankings on Google. The higher the rank, the easier it is for the people to see you, and the more effective your digital marketing will be. Therefore, by using SERP, you can gauge your positioning online and amend your strategy in case of low rankings for specific areas of your business. The tool will also allow you to identify potential opportunities that you never knew existed in the past. With everything that is posted by and about your brand, it becomes difficult to keep track of everything that may be out there online. Meltwater is a tool that works extremely well to help you to solve this problem. Meltwater uses AI-driven and real-time analytics to help you optimize your marketing efforts and make them money-making oriented. With the Meltwater tool, you can benchmark your marketing and revenue performance against your key competitors by monitoring your high-performance keywords as well as their trends in real-time. To make money online, running different social media accounts is one of the most effective strategies because you are able to promote your products, services, or information on a consistent basis. But, isn’t it overwhelming and difficult to manage different social media accounts all at once? Not anymore, as with Buffer, you can easily manage your posts for various social media platforms from a centralized, single dashboard. With all your social media centralized in a single location, you also obtain consolidated analytics on what is working with your social media marketing campaigns. Knowing these analytics allows you to instantly know how your content is coming along across the different platforms that you connect to Buffer. You can also know which kinds of posts are doing well and which are not to revolutionize your digital marketing strategy. LinkedIn Sales Navigator is one of the most refined social media tools one can ever have at their disposal. Sales Navigator helps you view the social media profiles and related activity on your LinkedIn account directly in your Gmail inbox, among many other features. The information that you get from this tool helps you leverage and enhance your network. LinkedIn is one of the best social media platforms for business professionals to take advantage of online. Think of LinkedIn as a digital marketplace for users to help others by promoting or informing interested parties about their products or services. Sign-up for LinkedIn's Sales Navigator and get all of the benefits and power that LinkedIn has to offer! Mailchimp is a tool that is used to effectively create and distribute email marketing campaigns. With Mailchimp, you can create unique campaigns that get the word out about your business either on a weekly, monthly, or even daily basis if you so choose. The tool allows for automation and sequences that keep both new and existing customers engaged with your brand and the potential your brand has to help their business. Mailchimp also offers some very generous plans that most small or recently started businesses will be able to use for quite some time. Use Mailchimp to become the brand you want to be with smarter marketing built for big things. Using these premium digital marketing tools is beneficial for one more BIG reason; most of these tools are FREE of cost to you or your business, especially if you are just starting out. Sign-up for a free trial or use the tools for a month and see whether or not you like them and find them valuable. The digital marketing space moves at such a quick pace that you must utilize amazing tools and software to make sure your performance and competitiveness is up to par. 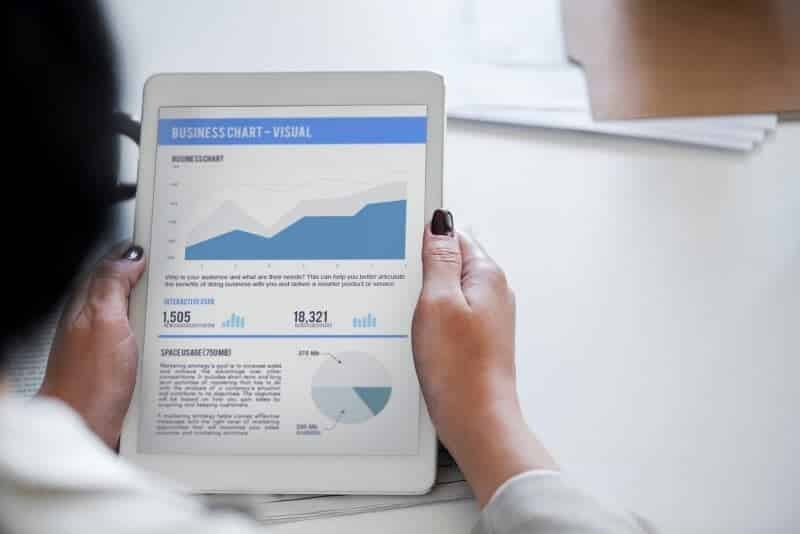 If you apply these digital marketing tools as they are intended to be used, they can do wonders for your business and increase the chances that your business will make money online and continue to grow exponentially. Feel free to let us know what you think some of the best digital marketing tools out there are in the comments. All of these tools are used by Flying V Group and have helped us to dramatically increase our prospective customers and drive our business growth online. Thanks for checking out the 16 Awesome Marketing Tools for Powerful Business Growth. Be sure to sign-up for our newsletter to receive monthly emails on all of the latest trends and happenings in the digital marketing space. You will also receive our FREE E-Book with the 41 Questions Marketing Consultants Should Ask Potential Clients. Sign-up below! Please share this article with your friends or leave a comment/question below. We really appreciate you reading our blog!